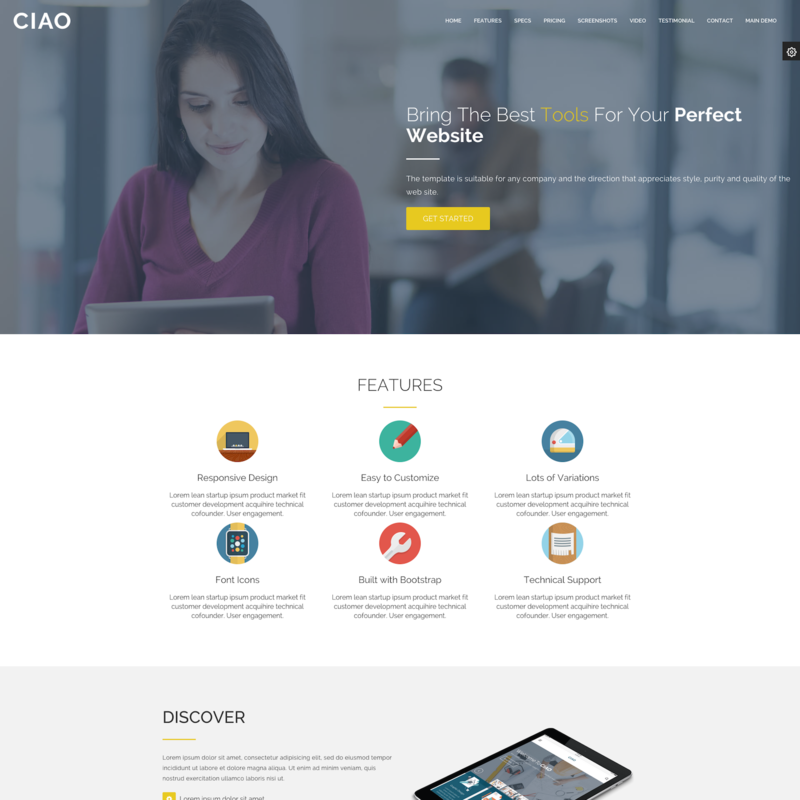 CIAO is fully responsive and works perfectly on all screen sizes. You can also change color, dividers, hover color etc , separators at the page specific level. 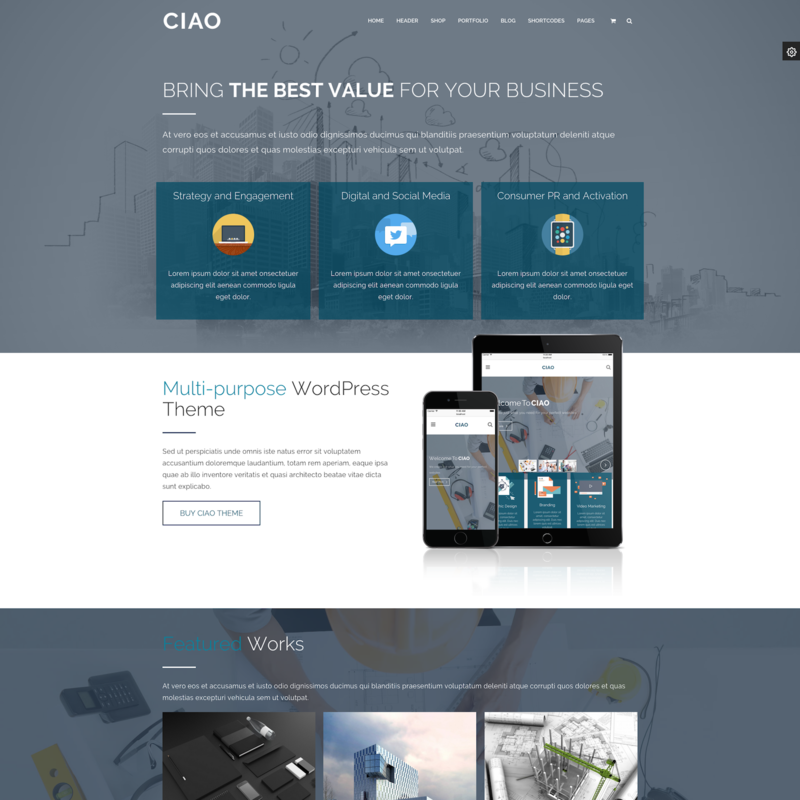 You can simply use the wide layout (by default) for CIAO and also the boxed layout that have many options to customise. We provide you sticky header when scrolling, also provide an option to turn it off in case you don’t want to keep it. 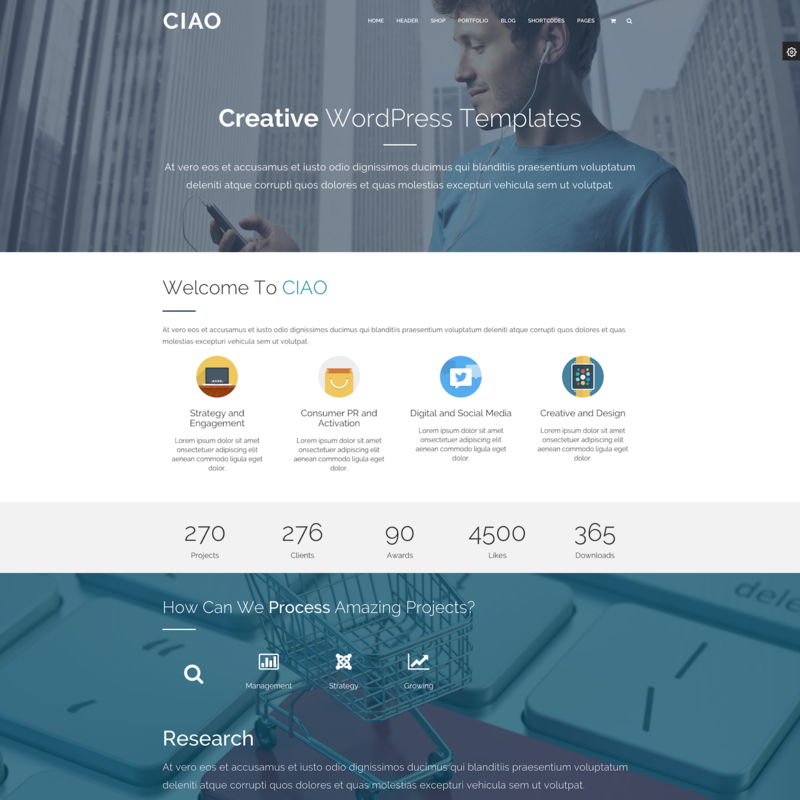 We have included font awesome icon set with CIAO. And having the plan to provide more set of icons in the next version. In CIAO we have included a new option to help you show multiple widget areas for footer that will look different from each other. 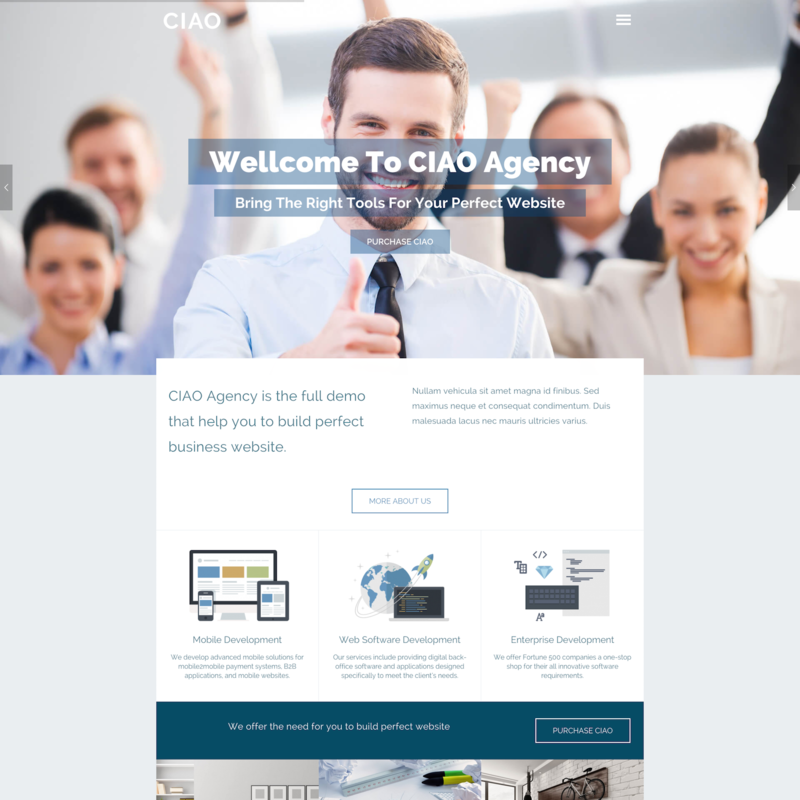 We have included Page Builder with CIAO so you can create complex layout just in minutes, it’s the best Drap and Drop Editor you will find. We have included an up to date version of revolution slider , so you create parallax and fullscreen responsive slides easily. We also have included different widgets with CIAO ( Recent Work , Recent Posts , Company Info , Twitter Widget, Flick widget, Social widget ), to help you have more options to showing your data. We have included to different portfolio layouts to showcase your work, also you can use Page Builder for portfolio and create whatever layout for your own project page. Lots of shortcodes with Page Builder. Touch Optimized carousel and sliders. One click demo data installation. And Above of the all 100% free Customer Support. 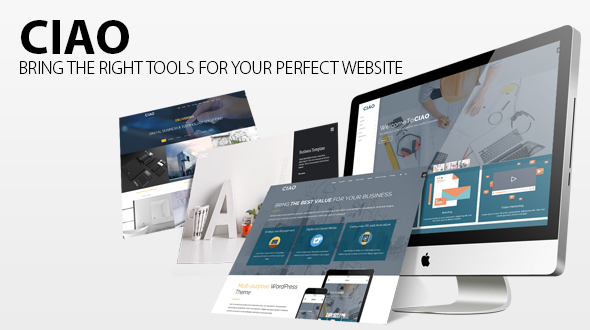 We included two built-in demo in the package, and with one click, you have completely website agency or one-page, easy for you to build special website. 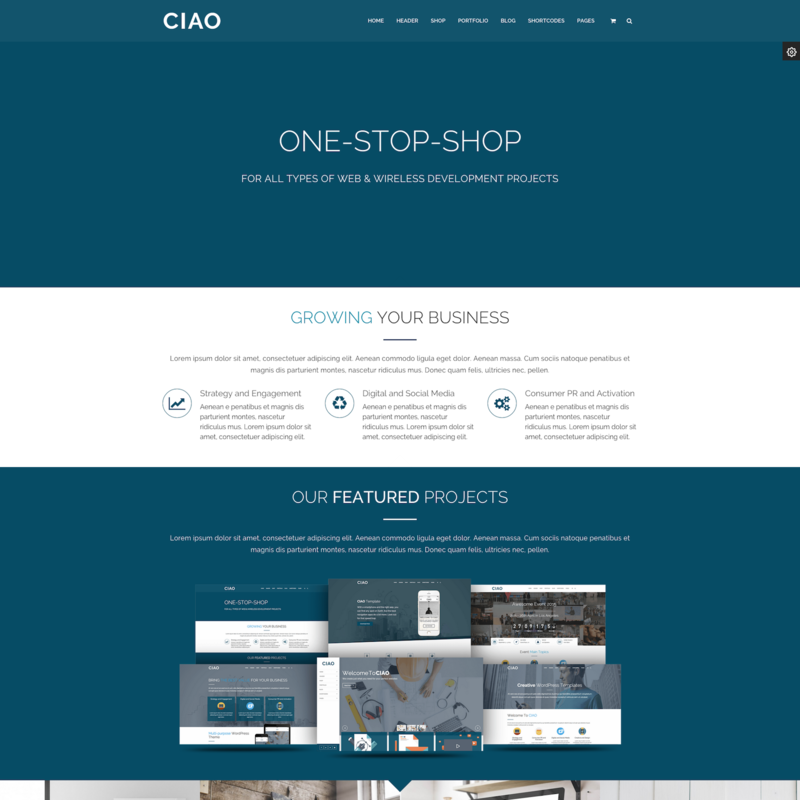 We also have a plan to add more demos in the next version of CIAO, promise with you that will be the incredible demo sites. - Add more pages - Improve styling - Fix bugs - Add manage sidebar at posts/pages function.